From weirdly cute bears wearing cowboy hats, to a Stampede city, to a 'progressive industrial centre'. Calgary's long history of slogans and welcome signs, tells us something about who we were, are and want to be. When residents or visitors travelling by highway reach Calgary, a large red and white sign marks their arrival. 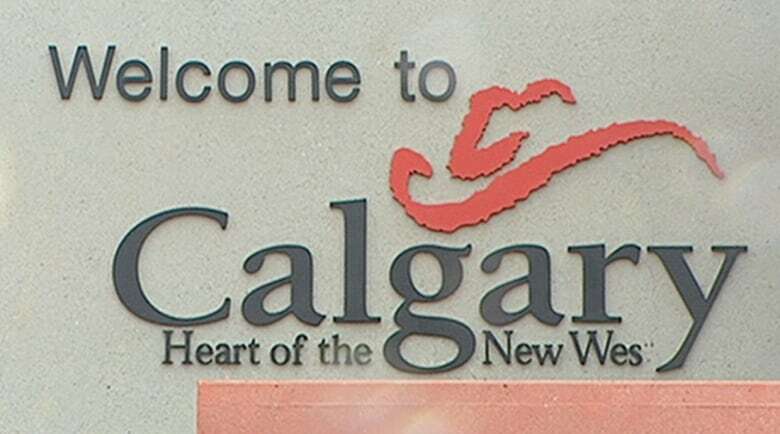 Below thin letters that read "Welcome | Bienvenue," the word "Calgary" takes up the bulk of the structure. The slogan "be part of the energy™" rests near the bottom. Welcome signs, also known as gateway or entrance signs, are a familiar sight for motorists at the edges of cities, towns and villages throughout Alberta, and across the world. Who among us hasn't stopped at such a structure, taking a photo to prove we've arrived? But signs have deeper meaning. Some signs rely on obvious imagery – in Southern Alberta, Pincher Creek's sign is held up by two large pincher tools – while others announce lesser-known slogans or defining features. If you've been to Smoky Lake, you'll have learned it's the "Pumpkin Capital of Alberta." And over in Hanna they are "Proud to be the home of Nickelback." Sometimes welcome signs are mundane and forgettable, just a blip on a long drive; other times they feel significant. Recently, in Fort McMurray, evacuees returning to their city after destructive wildfires were greeted with a temporary change to the welcome sign. A resident used duct tape and a piece of plastic to add the word "home" to the sign: "Welcome Home Fort McMurray," it read. In Calgary, the slogan and image on entrances has changed over time. Many Calgarians will remember Hidy and Howdy, the 1988 Olympic mascots who adorned Calgary's signs for decades after the games were over. The cowboy hat clad bears were cute or hokey, depending on who you talk to. "When you look at entrance signage into Calgary right now, it's certainly not in keeping with a city of a million population," said then-Mayor Dave Bronconnier in 2007, when city council voted to retire Hidy and Howdy. Welcome signs have a history of change. If the words and pictures we use to communicate a vision of ourselves are malleable, does that make our identity uncertain? The City of Calgary has planning and development guidelines for 14 major transportation routes into the city. They are in a document called "Improving Calgary's Entranceways". But actual welcome signs are not part of the document. Yet, Calgary's Municipal Development Plan, says it's noted "well-designed entrances welcome people and provide a sense of arrival to an important place." "One of the purposes of cities is to build a sense of community, to have a bit of a sense of place, where you get the feeling that you have arrived, in a specific, unique place," said Francisco Alaniz Uribe, an assistant professor in the University of Calgary's faculty of environmental design. "Signs are not very successful in many of those aspects. They're just pretty much an announcement." Canadian cities are relatively young, Uribe says, and perhaps that's why we take a marketing approach to our cities and turn to slogans. Such phrases "try to pick up on some sort of stereotype that is positive, hopefully, but it is also rigid." A black and white photo in the Glenbow Archives, from the 1940s, shows a cowboy atop a large bucking horse, the man's hat off his head, with the words: "Welcome to Calgary 'The Stampede City.' "
Another sign, likely from the 1950s, contains a mouthful of messages: "Welcome to Calgary"; "The west's most progressive industrial centre"; "Home of the Calgary Stampede"; "Population 206,831" and "Altitude 3,439 feet." "Calgary has used numerous slogans throughout history," said Harry Sanders, a local historian. Some slogans have found their way onto entrance signs, while others, thankfully, lived just on promotional brochures or booklets. Back in 1906, the Calgary Board of Trade's booklet dubbed Calgary "The Land of Golden Wheat, Fat Steers, Industrial Opportunities and Unequalled Climate." In 1921, Calgary was branded "The City of the Foothills," while in 1951 it was "The City with Everything Under the Sun." "It was just part of boosterism, part of trying to communicate what your town is doing, to attract investment, to attract new settlers," Sanders said of such slogans. Decades later, that intent remains the same. For awhile we were the "Heart of the New West". But the approach to this seemed nonchalant. The slogan was unveiled in 2000, but it wasn't placed on entrance signs until 2007. Then-mayor Bronconnier said the replacement signs were temporary, but they stayed until 2015. Recent branding efforts have attempted to move beyond western stereotypes, shying away from the long-standing "Cowtown" moniker. 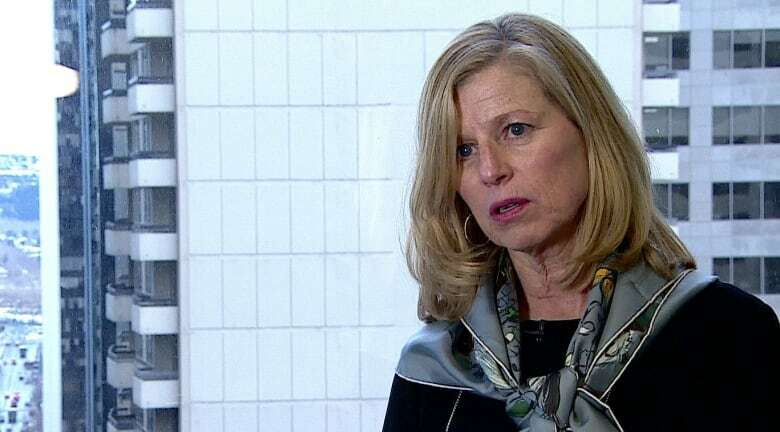 Mary Moran, president and CEO of Calgary Economic Development, describes some earlier civic branding attempts as "like a kaleidoscope," as various local agencies promoting Calgary lacked a unified voice. She says people outside Calgary "didn't understand what the personality of our city was or why we were giving them a reason to come here." "The challenge with the Heart of the New West slogan is it has a geographical and time reference," she said. "It we go to recruit people, or try to attract investors, in Dublin or Singapore or Tokyo or Shanghai, Heart of the New West means nothing to them. It's a very local, colloquial brand." 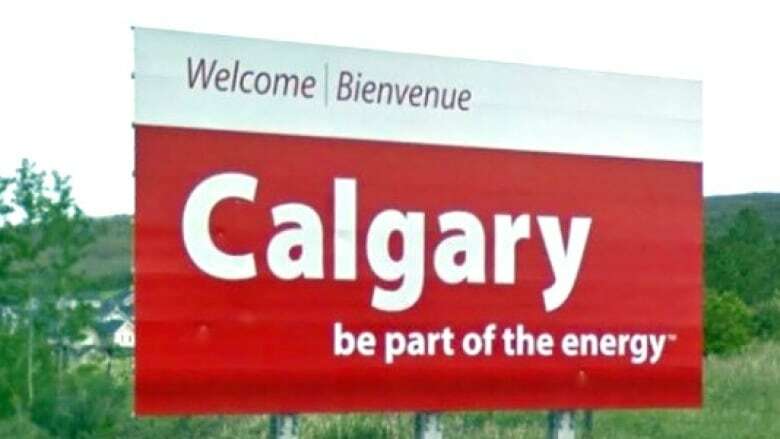 Calgary Economic Development unveiled the "be part of the energy" slogan in 2011. It began as a campaign for attracting workers to the city amid a looming labour shortage. It was never really meant for residents, but over time it has evolved into the city's brand. And by 2015, it was on our welcome signs. "When we unveiled it to the local community, people stood up and said it should be part of our city brand," Moran said. The new slogan created a unified voice, she said, aligning partners to tell the same story. Welcome signs are for cars, Francisco Alaniz Uribe says. He notes many visitors arrive by plane, with the airport serving as their gateway. Uribe remembers his own Calgary airport arrival 12 years ago, where he was struck by the various displays at the centre of the baggage carousels. "I didn't know anything about the Royal Tyrell Museum, but [the display] made me want to learn more about it, and then later I went there," Uribe says. He's since had many international students studying in Calgary experience the same thing, more familiar with the dinosaur museum in Drumheller than being part of the energy. But beyond signs and displays, Uribe says it's actually physical landmarks that really convey a sense of place and identify arrival. He remembers childhood road trips to Mexico City, to spend Christmas with his grandparents. There was a specific part of the lengthy drive, when the road passed between two hills, which marked a sense of arrival for Uribe and signified his grandparents' house was near. "Your real sense of arrival is related to some landmark you associate with the place, not a sign with a slogan," Uribe said. For Calgary, a city now facing low oil prices and an economic downturn, the labour shortage that first prompted the "be part of the energy" slogan seems unfamiliar. It feels uncomfortable to ask people to be part of the energy, when the energy sector is struggling. But Moran, for one, doesn't see it that way. "It gives us an opportunity to define what we mean about energy," Moran said. "We don't say 'be part of the oil and gas.' "
The city's energy is demonstrated in how it responded to the 2013 floods, or the wildfires in Fort McMurray, Moran said. She uses the words "innovative," "creative" and "entrepreneurial" to describe the city, all qualities that contribute to a sense of energy and vibrancy. "I think now more than ever it's a fine brand," Moran said. "There's no reason for us to shy away from a brand like this." 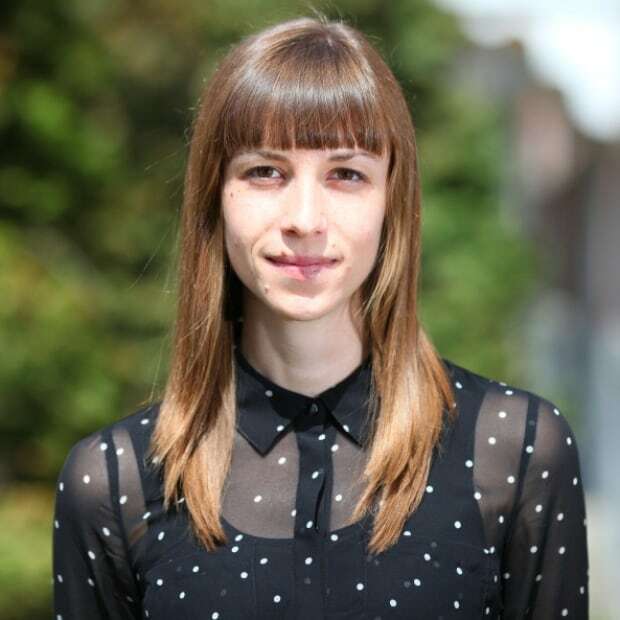 Cailynn Klingbeil is a Calgary-based freelance journalist. Her work has appeared in numerous provincial magazines and national newspapers.